Ted Sundquist is the former Denver Broncos GM and Front Office Executive (2 Super Bowl Rings) with a 16 year NFL executive career. He also is an United States Air Force Academy graduate who played and coached football for Air Force. Craig played for the San Diego Chargers and Buffalo Bills in the NFL. In college, he earned All American honors as a senior at the University of Montana and led the Grizzlies to the National Championship Game. Beginning his career at the University of Colorado, Craig started 16 games for the Buffaloes and still holds several school records. A High School All American, Craig was tabbed the No.3 quarterback in the country by Sporting News. Craig is married to his wife Jessica and the couple have four children. They reside in Colorado Springs. Lieutenant General Michael Gould finished his 37-year career in the U.S. Air Force as the Superintendent of the U.S. Air Force Academy from 2009-2013. 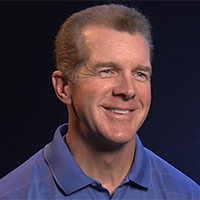 A former defensive back and assistant coach for the USAFA football team, General Gould also served as a member of the College Football Playoff Committee. General Gould has taken a strong interest in Sports VTS and is providing guidance and in the areas of partnership development, collegiate sports, Olympic sports, and emerging technologies. Brian Kopp was previously the President of North America for Catapult Sports, a global leader in performance analytics and wearable devices for elite athletes. Prior to Catapult, Brian served as Senior Vice President of Sports Solutions for STATS LLC. At STATS, Brian was responsible for the revolutionary SportVU player tracking technology as well as building innovative analytics solutions for NBA, NFL and NCAA teams. Dr. Maddox is Founder and CEO of Cognitive Design and Statistical Consulting, and the Science, Sports and Training Correspondent at TechTrends.tech. He has published more than 200 peer-reviewed research reports, examining the complex interplay between affective processes, motivation, personality, incentive processes, learning, memory, and decision-making. His research has been cited more than 10,000 times and he has received federal grants from the National Institutes of Health, National Science Foundation, and Department of Defense that totaled over $10 million. Todd is passionate about applying his 25 years of scientific experience to build better training products in a broad array of sectors (e.g. corporate, education & sports), optimizing hard and soft skills by better understanding how their learning is mediated by distinct systems in the brain. In the sports training sector, Todd works with elite and amateur athletes to speed learning and enhance muscle memory. His scientific research suggests that muscle memory and motor skills, in general, rely critically on the presence of real-time immediate corrective feedback. He believes that new ways of thinking about training are needed to devise effective, high-quality sports training methodologies. After receiving his PhD in Quantitative and Cognitive Psychology at the University of California, Santa Barbara, Todd completed a two-year post-doctoral Research Fellowship at Harvard University. He then embarked on an illustrious 25-year academic career researching the fields of human learning and memory with an emphasis in understanding the computational interplay between motivation, personality and incentive structures and their effects on optimized learning, memory and training. Paul is an adjunct professor at the Ohio State University and the founder and CEO of PredictionMachine.com and one of the foremost authorities on mathematical modeling in the sports world. Paul has a Master’s degree in Quantitative Analysis and has expertise covering every major professional and collegiate sports, including working as a consultant with professional teams, colleges, agents and athletes to aid with roster management, coaching searches, predictive analysis, in-game strategy and player development. PredictionMachine.com simulates more than 100,000 sporting events a year before the game and after every play and is dedicated to being one of the most accurate sources for predicting sports outcomes. Paul has been working with Sports VTS (or QBSIM), the Perduco Group and NFL coaches to aid in getting the football right through AI development and probabilistic analytics. Angus Chassels is a console and PC game industry refugee, having worked in video game development in some form or another for the past 18 years, beginning with boutique console developer Secret Level in 2000 and now working with the Game Development and Design program at the University of Colorado. After growing Secret Level to over 100+ employees with no external funding as a founding shareholder and VP Operations, Mr. Chassels was instrumental in the sale of the studio to SEGA, the legendary video game publisher and hardware company based in Japan. Mr. Chassels has been advising Ted Sundquist and VTS since the May 2014 development prototype was tested at UCCS. Prior to getting into video game production, Mr. Chassels co-founded an Internet software company in 1995 and was one of the principle designers and creators of the first browser and desktop software designed to leverage multi-threaded memory in Windows. With clients like Bloomberg, WSJ, Microsoft etc., Mr. Chassels successfully raised funding from William Hambrecht(Hambrecht and Quist/ WRHambrecht.com) and grew the company to 30 employees. Mr. Chassels sold the 4 patents he received for those technologies to Microsoft. Mr. Chassels is currently the Entrepreneur in Residence for the University of Colorado. In addition to helping incubate and grow student and faculty led startups, Mr. Chassels actively advises several Colorado and California based tech startups and serves on the boards of about a dozen start ups focusing on everything from innovative VR games to parking lot logic to medical tech and fashion. His most recent exit was 2016 with the sale of Securics, a biometric security firm based in Colorado Springs focused on high level computer vision. His latest personal software startup, Symtapp, uses big data to help people with Multiple Sclerosis and other neurological conditions and was funded by the University of Colorado and incubated at the Anschutz Center for Advance Medicine in Aurora CO.
Mr Chassels currently lives in Colorado Springs, CO.
Stuart Best brings 15 years of sports science and performance analysis experience to Sports VTS, including experience working with professional and collegiate athletes. He is an Assistant Professor in the University of Kentucky Sports Medicine Research Institute. Dr. Best spent almost 10 years as a fitness trainer and strength and conditioning coach before completing his Ph.D. at the University of Sydney, working with a number of professional and semi-professional soccer, basketball, rugby league and cricket teams as a sports scientist, performance analyst and strength and conditioning coach. Jim Rutberg serves as Communications Director for Sports Virtual Training Systems, Inc. Mr. Rutberg’s 18-year career includes roles as a multimedia content producer, content strategist, brand builder and social media manager. His experience also extends to website design, optimization, and management. Mr. Rutberg is the founder of Rutberg Communications, which focuses on helping brands define and amplify their voice in the marketplace. 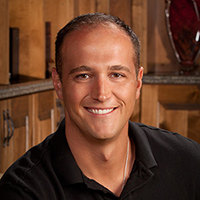 With a passion for writing, roots in elite athletics, and a degree in Exercise Physiology from Wake Forest University, Mr. Rutberg has co-authored 8 books and written and ghostwritten thousands of articles related to exercise, sports science, sports nutrition, training, and technology. Four-time CFL All-Star and four-time NFL Pro Bowl selection at Quarterback. 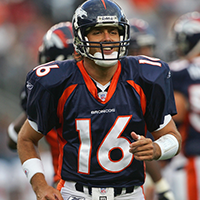 Former Pro Bowl Quarterback and played 10 seasons in the National Football League. Minnesota Vikings - Tight Ends, 26 years as a coach, 4 Super Bowl Rings. Head Coach United States Air Force Academy. 20 year career in the NFL, and a member of a Super Bowl Championship team.